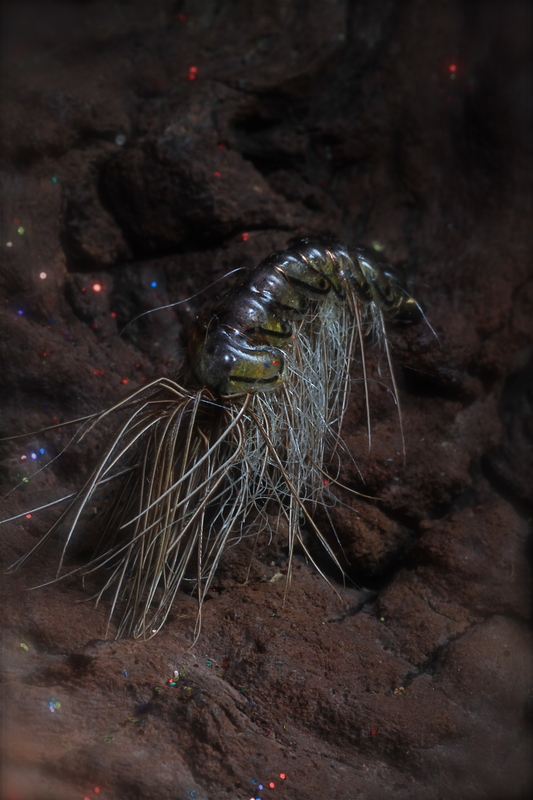 After many requests regarding my Gammarus pattern and where to obtain the foils heres a up dated re post with a little more info. This photo was taken last week, while on a fishing trip to Shetland. 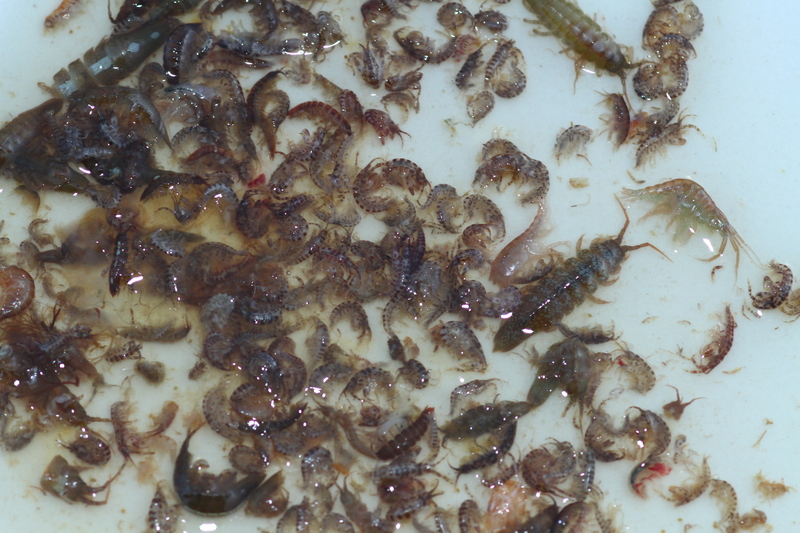 Some of the small Lochs had huge amounts of gammarus and the fish refused everything else! 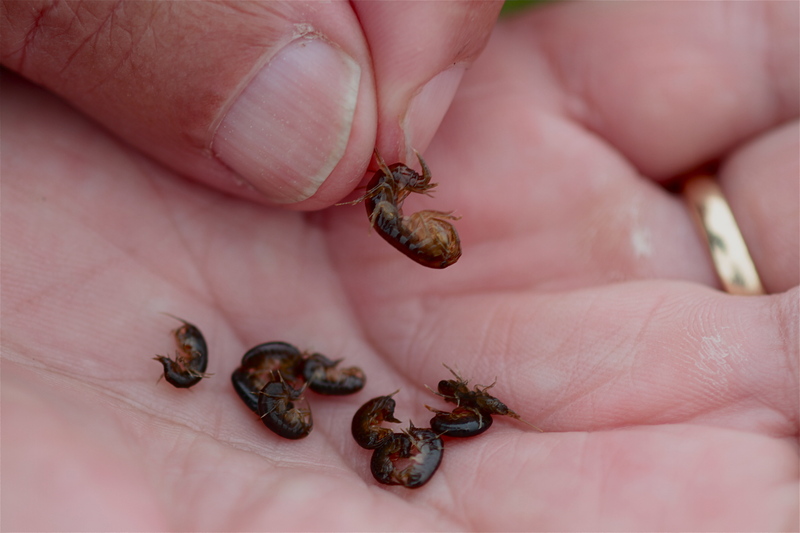 Every fish we took in such Lochs where full to the gills with these small fresh water shrimp. 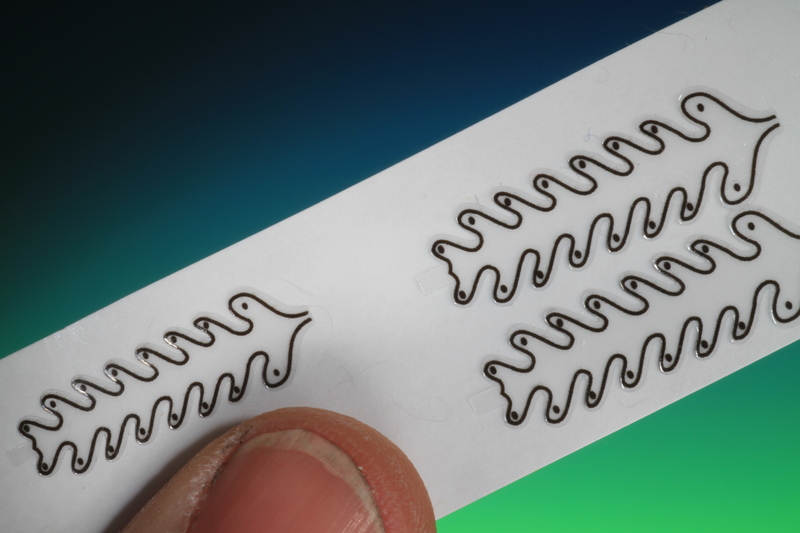 Having a good imitative pattern proved to be seriously effective! 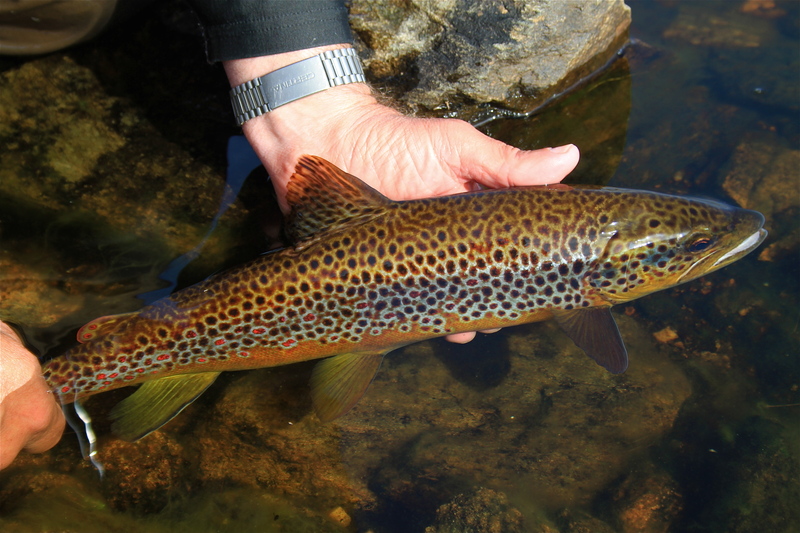 The fish that where feeding on Gammarus where in exceptional condition! 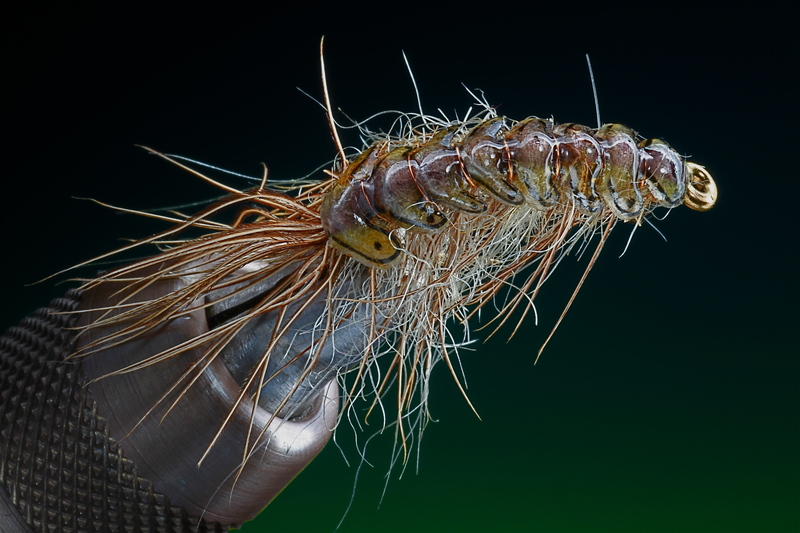 Some of you may have seen, that a couple of weeks ago I received some shrimp foils from ‘the fly people’ in Germany to test, they where very successful. After playing a little with them I reversed one and tied a gammarus pattern as this is one of my post productive for salt water sea trout. 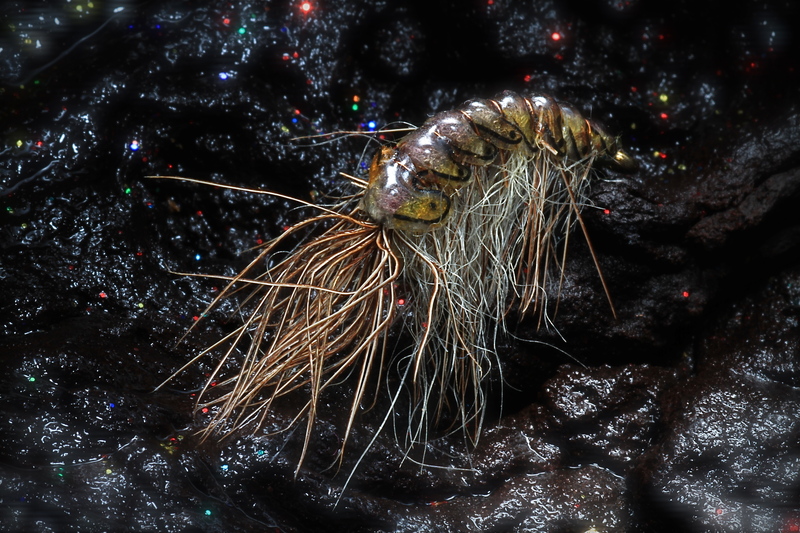 When Lutz, from the fly people saw my pattern, he asked what I would change on the shrimp foil to make it a gammarus foil ? I went straight to the drawing board and made him a sketch. Yesterday these prototypes arrived. This is a photo I took while fishing of the contents of a sea trout’s stomach, need I say more ! 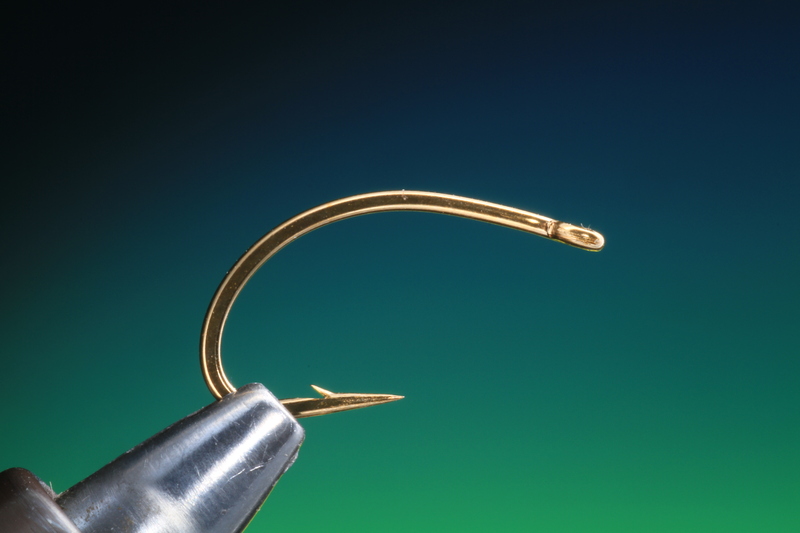 Secure your hook in the vice, make sure its horizontal. 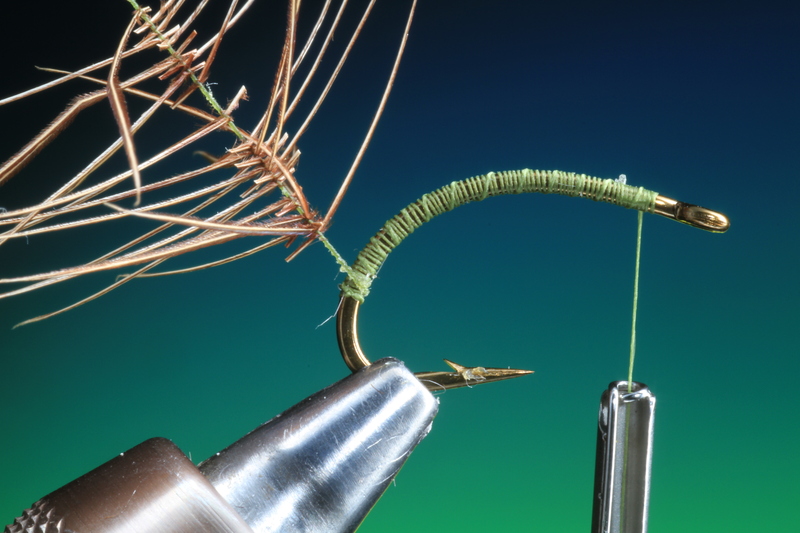 Run tying thread along the whole hook shank and down into the bend. 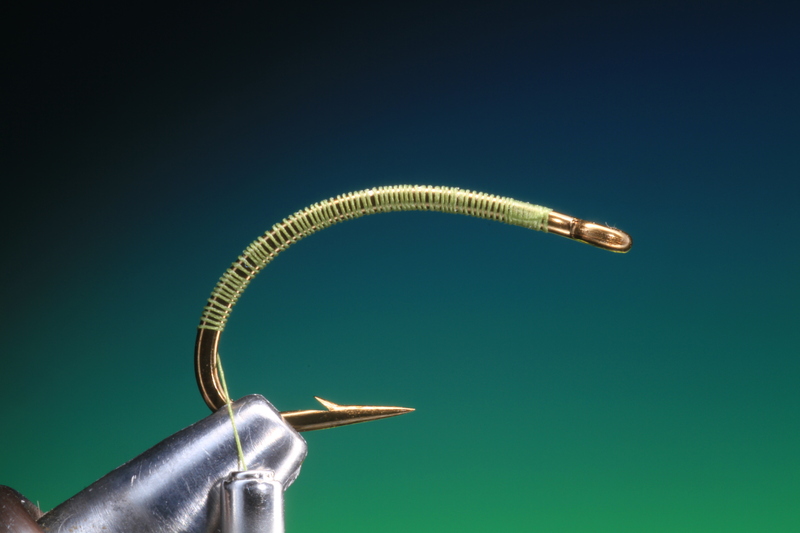 Make a small dubbing loop at the tail of the hook. 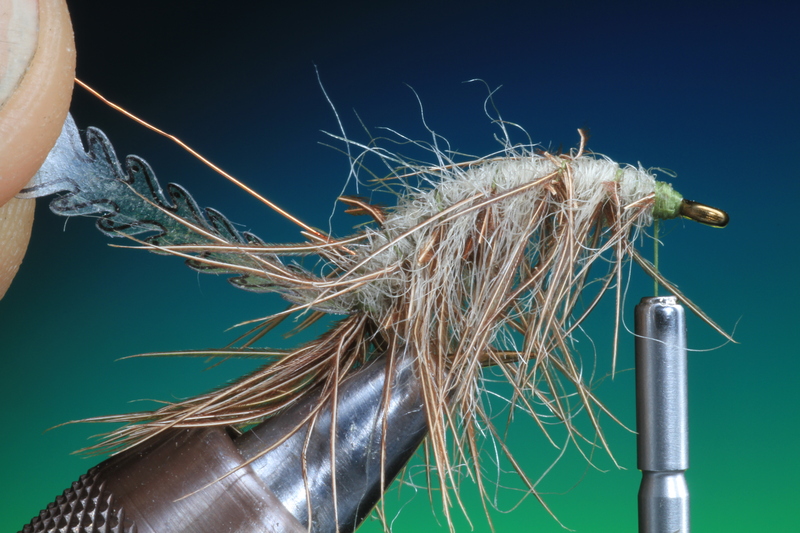 Load a Petitjean magic tool with pheasant tail fibers, you only need a few for the beard so use the smallest tool. 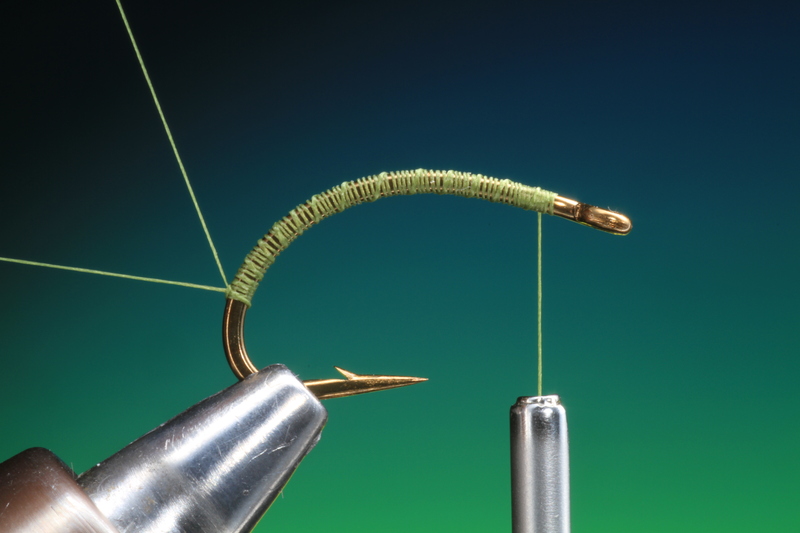 Wax your tying thread, and run your tying thread to the hook eye. 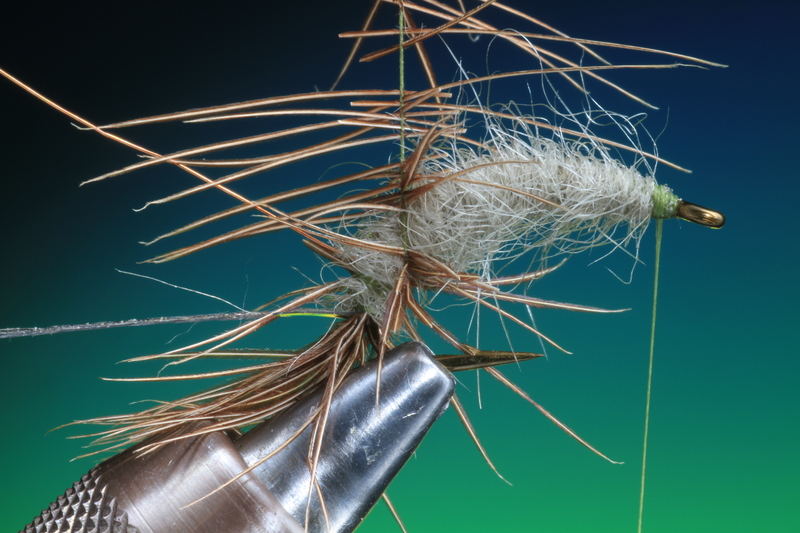 Spin the pheasant tail fibers in the dubbing loop. Wind on the dubbing brush, making sure that you brush all the peasant tail fibers out with each turn so you dont tie them down wrongly. Tie off the dubbing brush. 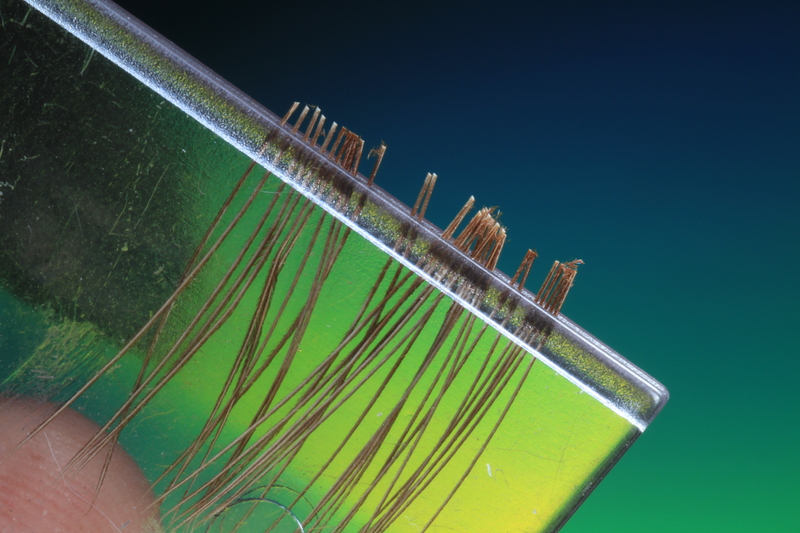 Select the right size foil for your hook size. Remove the foil from the sheet. 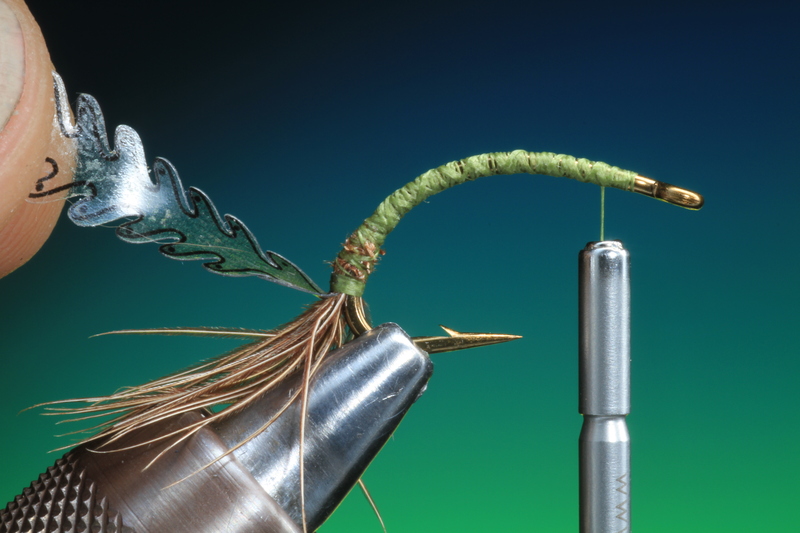 Tie in the foil by the small tag at the base of the feelers. Make another dubbing loop a little larger this time and hang out of the way on your vices material clip. 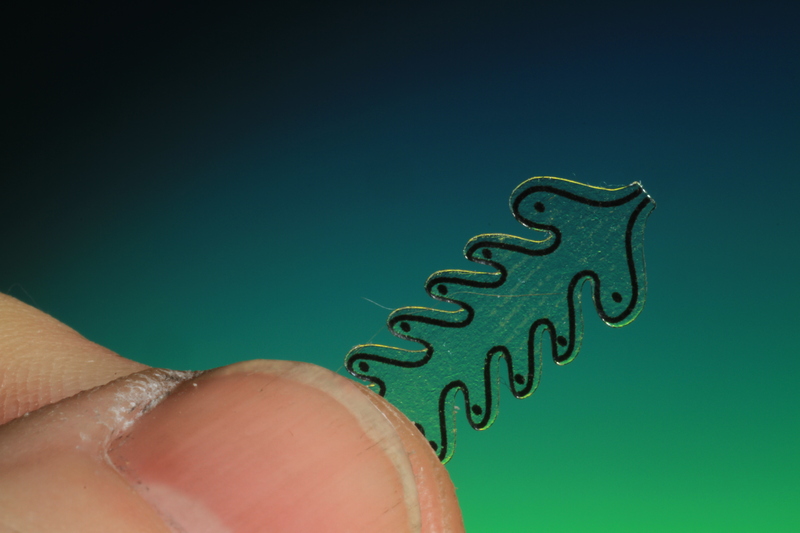 Tie in a length of fine copper wire. This should be a few mm up from the dubbing loop as shown. This is so your first turn of rib will be in the correct position in respect to the foil later. Dubb the whole body with seals fur. First a couple of turns under the copper wire and the over. 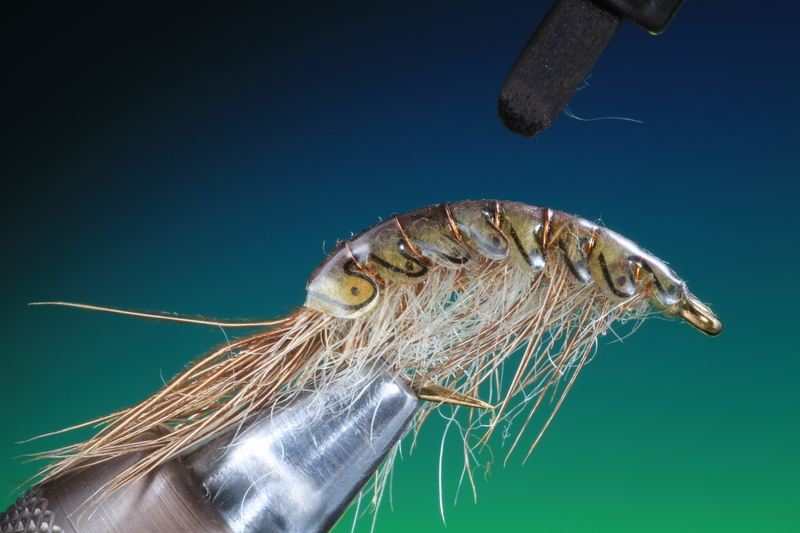 The gammarus body should taper from thick to thin as you approach the hook eye. 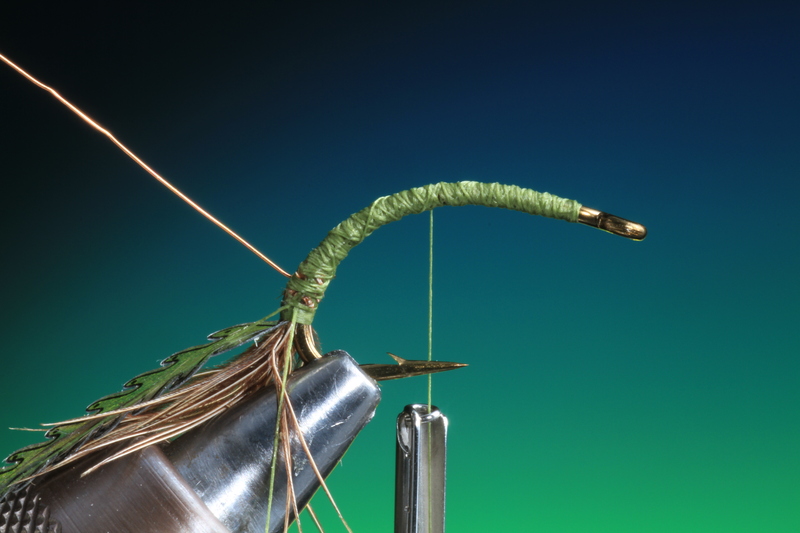 Spin a larger amount than before of peasant tail fibers in the rear dubbing loop. Remember to keep them short. Wind in an open spiral to form the legs. 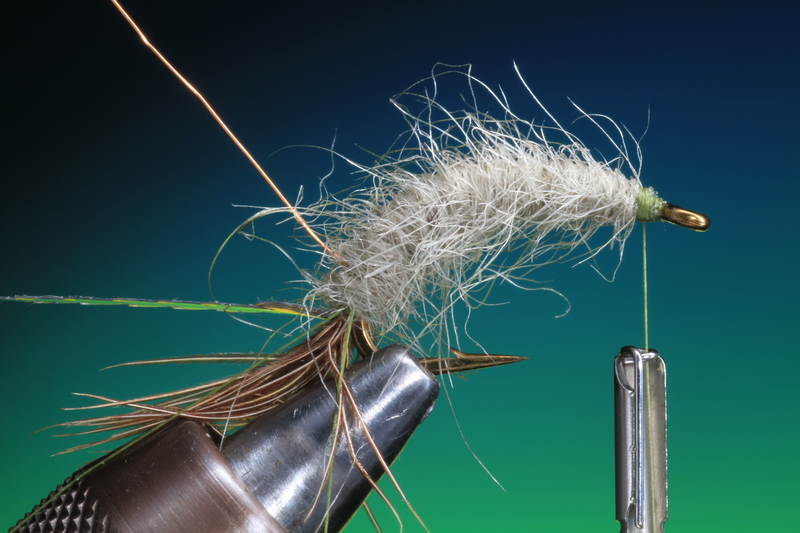 Tie of the dubbing brush at the head of the fly and brush down the legs each side of the body. Now fold over the foil and tie down so it sits tight over the whole body of the shrimp. Now wrap the copper wire rib in between each plate segment on the foil. 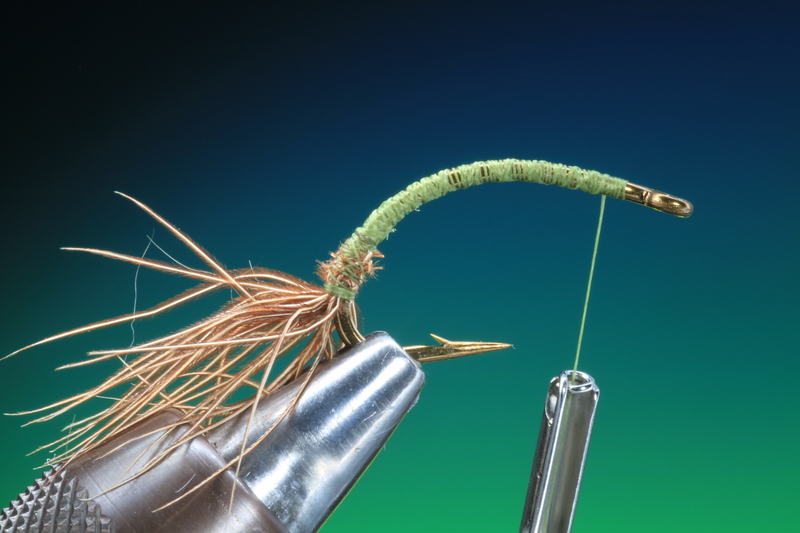 But as you go brush out the leg fibers with each turn so you dont trap them and tie the down flat. 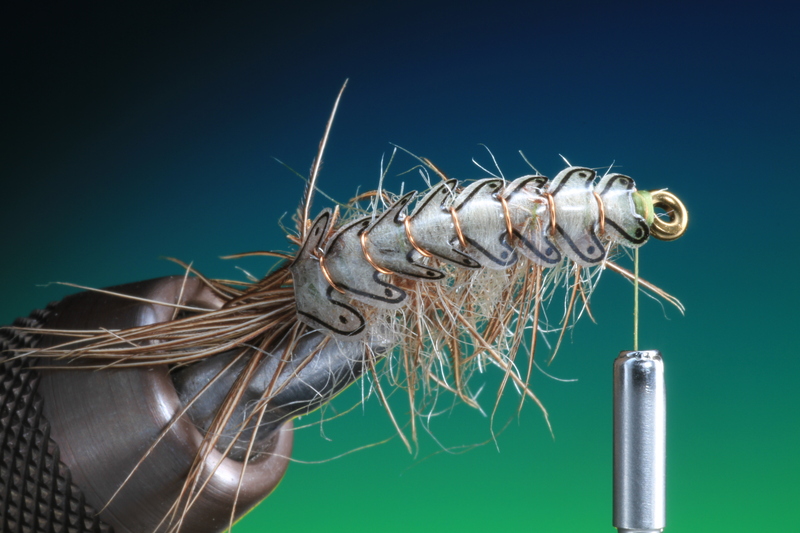 Tie off the copper wire at the head of the fly. You can now colour your shell back if required with a waterproof felt pen. Give the whole shell back foil a coat with Bug Bond. If your careful you can do each segment at a time to give it a more three dimensional effect. 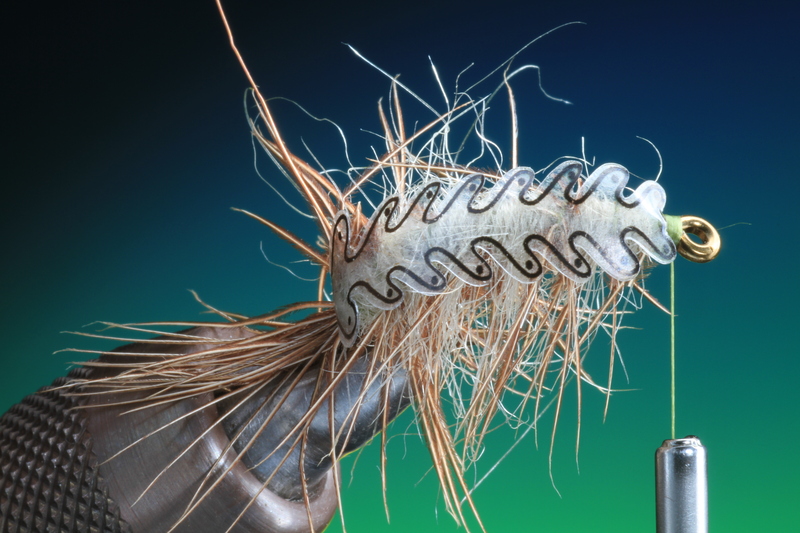 Rough up the fibers in the feelers and legs with a tooth brush. This entry was posted on February 20, 2016 by barryoc. 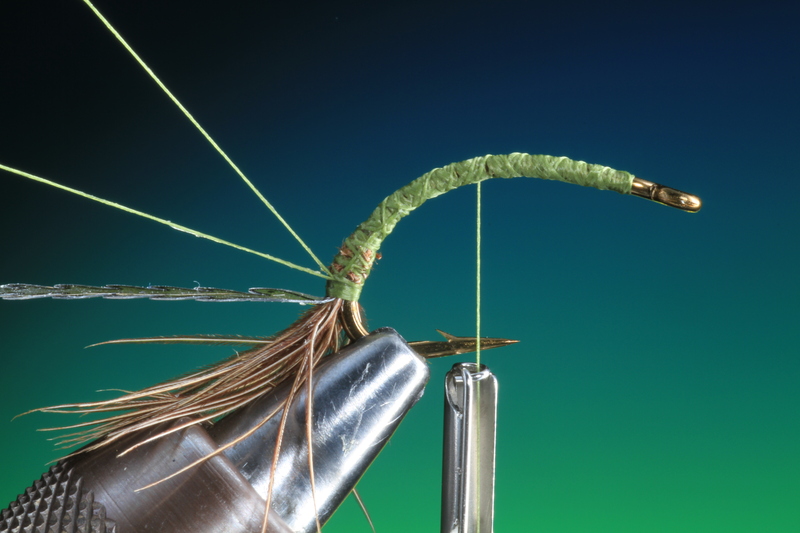 It was filed under Fly Tying, Sjøørret fluer, Step by Step and was tagged with Bug Bond, Gammarus, Realistic, sjøørret fluer, sjøørretfiske, steg for steg, Step by Step, The fly People.